Ever wonder why the Pixel 3 will ship without a notch, while the bigger Pixel 3 XL sports a tall one? Well, according to Google, it wanted to introduce a notch to the smaller 5.5-inch flagship in order to maximize screen real estate for the user but decided against it. Turns out that the hardware limitations prevented the company from incorporating the same controversial notch that is present on the larger 6.3-inch Pixel 3 XL. Love them or hate them, the only way smartphone manufacturers will be able to increase the screen-to-body ratio is by incorporating a notch. Let us take a look at why just one device from Google’s lineup features it. According to Daniel Bader, the managing editor at Android Central, Google had every intention of placing a notch on the Pixel 3. However, when deciding to use a dual-front camera and speakers that fire noise from the display side, Google had no choice but to omit it. In comparison to the Pixel 3 XL, the Pixel 3 has a narrower body and if the tech giant decided that the notch of the same size as the one present on the larger smartphone should end up on the smaller handset, it would look proportionately bigger. That would look completely absurd when it comes to design, and it could have pushed potential buyers away from it, so it is for the best that Google had a change of heart right at the end. However, this can signify that the firm’s design team will be looking at ways to introduce a notch in the smaller handset next year, so 2018 might be the last year when we see notchless Pixel devices. Google told me that if they’d been able to put a notch in the smaller Pixel 3 they would have and only didn’t because they didn’t have room for the cameras and the speaker in the narrower hardware. So it’s pretty safe to say this is the last year of notchless Pixels. We sincerely hope that Google also makes more effort to ensure that the notch and chin bezel on the successors is substantially reduced. Though both the Pixel 3 and Pixel 3 XL feature better materials and an improved build, not to mention support for Qi wireless charging, their design from the front is not the most attractive when comparing it to the competition. 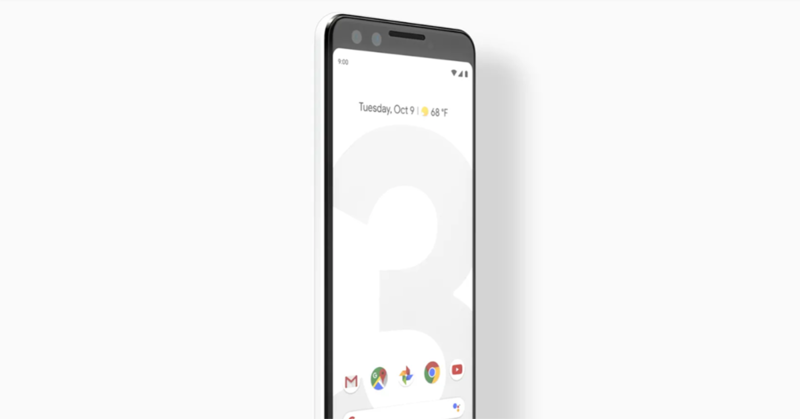 2019 might deliver a fresh new look for Google’s smartphone lineup and in comparison to the Pixel 2 series, the Pixel 3 family looks considerably improved. Would you prefer to see the notch on the Pixel 3 or not? Let us know down in the comments.